Our Cottages at Woodland Park are just a few blocks above the village….it’s an easy walk to town! Shopping and dining in the Idyllwild village are favorite pastimes of our guests. A pleasant stroll through the village takes you past many unique store fronts. Shops offer one-of-a-kind gifts, antiques and all varieties of Idyllwild mementos. Art Galleries abound in our Idyllwild village area….from ceramics, sculpture, and painting to photography and wood works, you can enjoy a day filled with beauty. Dining is always a wonderful experience in Idyllwild, California. Ranging from a quick sandwich at one of our delis to an elegant dinner…you can find what you are looking for in the village. Choose from Classic American, Country, Mexican, Italian, Chinese, German or Greek! The Rustic Theater provides an evening of movie fun, with one screen showing a first run movie. Outdoor summer concerts provide fun music in the village on occasional weekday evenings throughout the summer. Our many service organizations offer old fashioned Pancake Breakfasts at our Town Hall on many summer Sundays. Idyllwild is a wonderful place to enjoy the beautiful San Jacinto mountains! 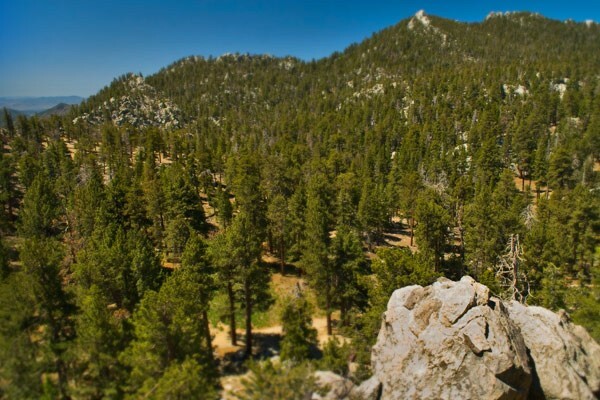 Idyllwild, California’s wilderness offers over 275 miles of hiking trails. Choose from the easy Ernie Maxwell Scenic Trail for the novice hiker or one of many more challenging hikes. 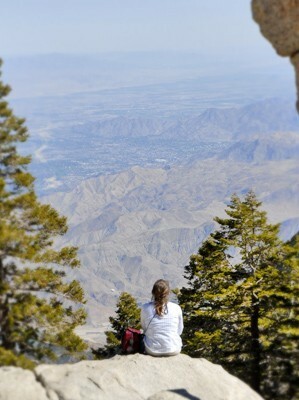 Perhaps a long strenuous hike to the peak or a trip to Long Valley and the top of the Palm Springs Tramway. Snow brings a new set of adventures to our visitors…from just a gentle walk in the snow to an exciting day sledding, everyone loves the winters in Idyllwild. 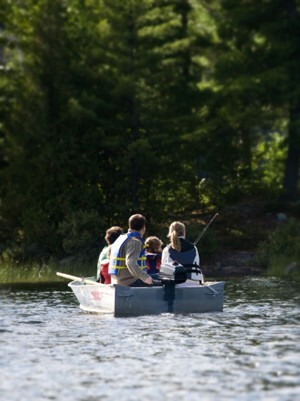 Lake Hemet, Lake Fulmor and Strawberry Creek are stocked with trout and await visiting fisherman. Rock Climbing brings many adventurous visitors to Idyllwild. Tahquitz and Suicide Rocks offer hundreds of routes to beginning as well as experienced climbers. 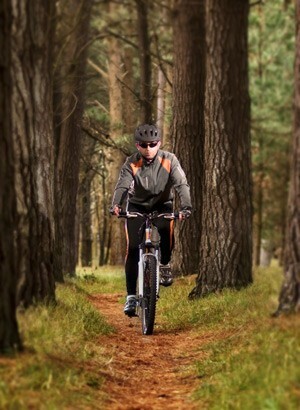 Mountain Biking offers another way for visitors to enjoy our beautiful mountain and valley areas. Mountain Bikers frequent the Ernie Maxwell Scenic Trail as well as trails in the nearby Garner Valley area.